During a recent walk along the D&R Canal we heard a soft, insistent call that sounded like spee repeated over and over. 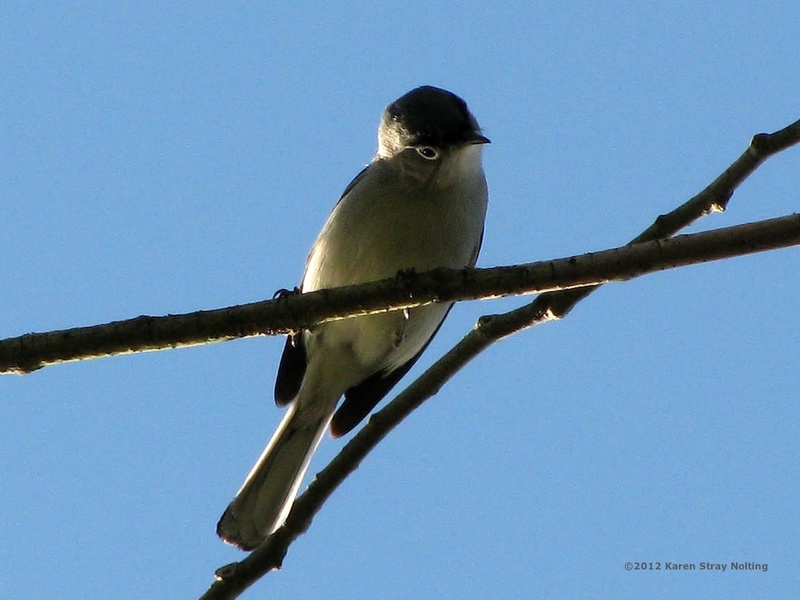 We looked in the branches above us and spotted a tiny bird with a long, thin tail flicking from side to side. The bird moved constantly, making it hard to identify. Then its small, thin bill and the white edges on its tail gave it away. 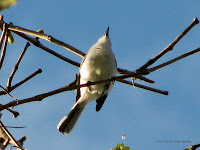 It was one of our migratory visitors—a Blue-gray Gnatcatcher. Our Nature Guide Jon Latimer tells us more. "The Blue-gray Gnatcatcher (Polioptila caerulea) can be mistaken for a chickadee or a titmouse because of its similar bluish gray back and white underside. But the gnatcatcher is smaller and can be easily distinguished by its thin bill, white eye ring and long tail edged with white feathers. Some birders have also noted that this gnatcatcher looks like a miniature mockingbird. This comparison is even more apt when you discover that its soft, irregular song often mimics the songs of other bird species. Its call is a sharp spee spee spee or see see see. "Blue-gray Gnatcatchers are most often seen in deciduous forests and scrublands where they feed near the tips of branches. They seem to be in constant motion, possibly as a way of flushing insects—their main food—out of hiding. 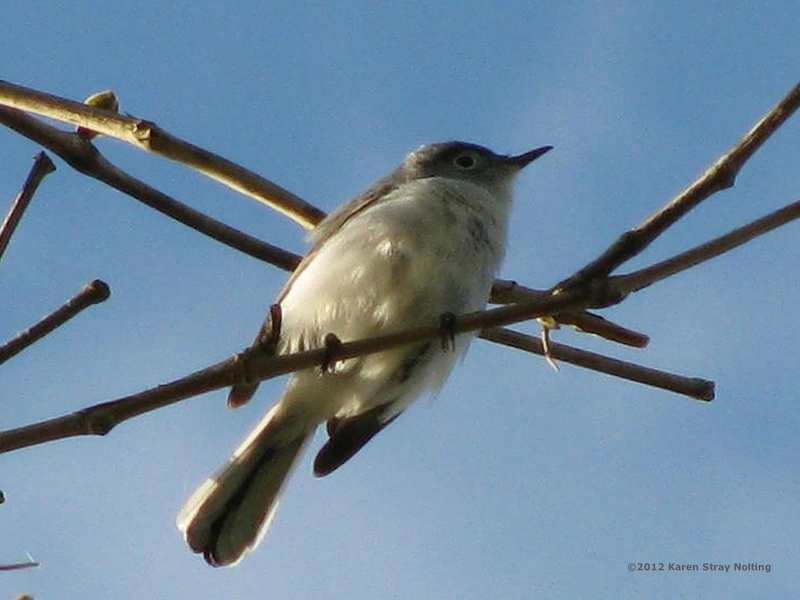 Over the last century the Blue-gray Gnatcatcher has expanded its breeding range northward. In fact, it occurs farther north than any other species of gnatcatcher. Most members of its genus are residents of more tropical regions. The Blue-gray Gnatcatcher is also the only truly migratory gnatcatcher. It joins many birds that travel north through our area in spring. This year migration seems to be a little ahead of schedule, probably because of our mild winter. 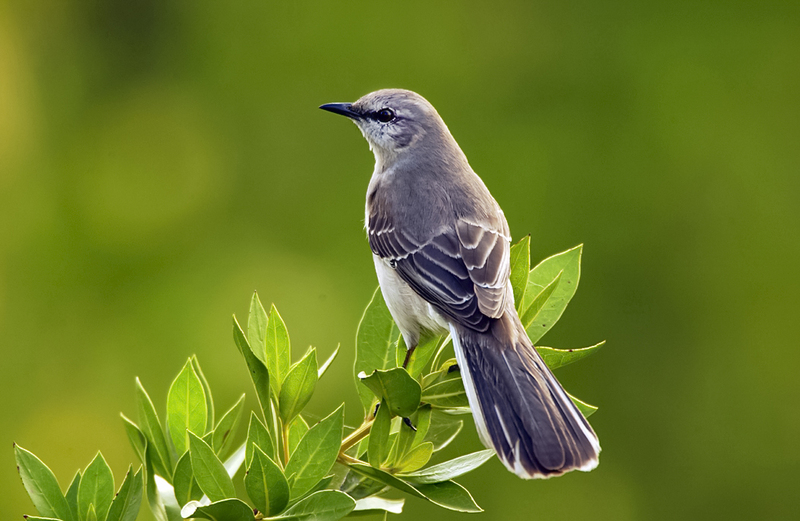 Large numbers of warblers and other migrating birds have been appearing since early April. That usually doesn't happen until mid or late May."